For a novice, wearing false eyelashes for the first time is a difficult task, but after a period of practice, wearing eyelashes is a very easy thing for you. Everything is ready and we can wear eyelashes. Take the glue and apply it as close as possible to the lash line. Use the eye liner as a guide. After the glue has dried a little, stick the eyelashes to the eye from the inside out, then use the tweezers to adjust the eyelashes and press the root of the false eyelashes to completely fix it. Repeat this step for the other eye. Looks like it is very simple. right ? You haven’t worn false eyelashes. False eyelashes will make your eyes bigger, deeper, more attractive. 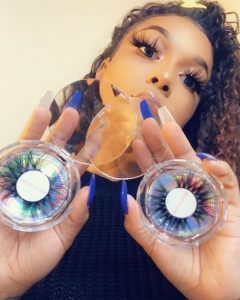 Do you know How to discriminate a real 3D Mink Lashes Vonders? 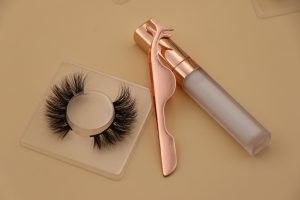 How to discriminate a real 3D Mink Lashes Vonders? Previous post: How To Distinguish Between Eyelashes And Velvet Eyelashes?